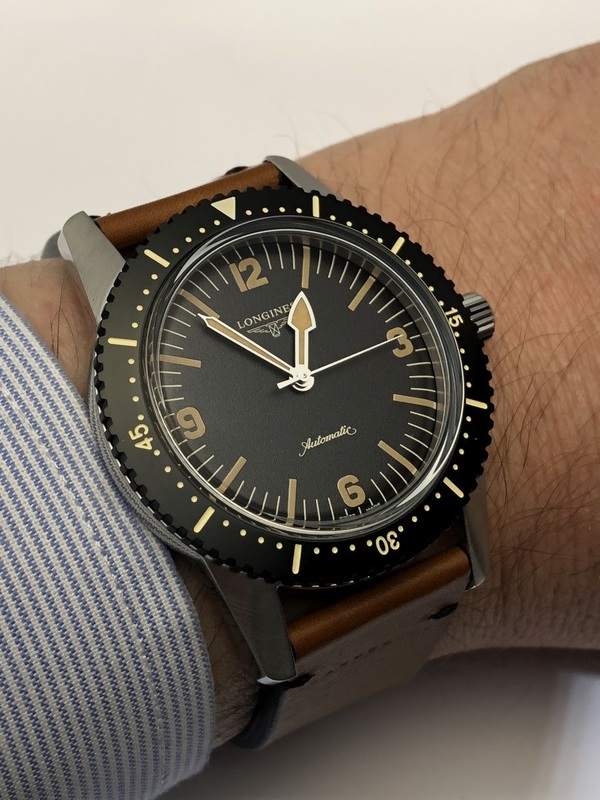 I had a lot of trouble putting together the list of my 20 favorite watches from the Baselworld 2018 edition. The proof that it was a rich and dense Fair and anyway, I perceived it as having a higher interest compared to the previous edition. However, we need to be careful : we haven't reached a creative peak. Brands have for the most part adopted a conservative and conservative attitude with designs quite frequently inspired by models of the past. The neo-retro trend is resisting but should we be surprised? 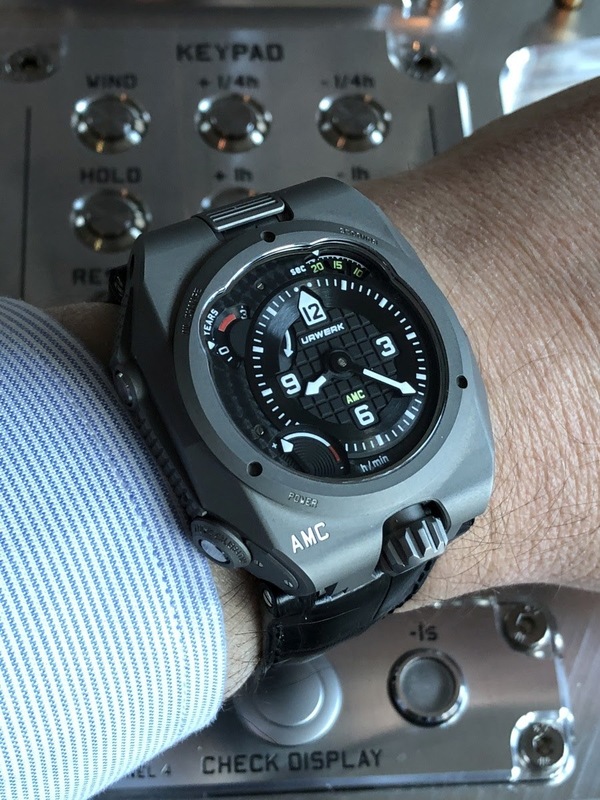 Considering that the horological icons are the true vectors and drivers of the market, the brands hope, by bringing back updated versions of the watches that have marked their histories, to seduce customers with paradoxical behavior. Indeed, the logic of purchase is generally different from the expressed wishes: customers claim to seek creativity and daring designs but very often return to the great classics when it comes to use the credit card. The other trend is for a number of significant players is the prices moderation. The realities of the markets are better taken into account but brands remain trapped in the price structures of the crazy years. Then, they make the effort to be imaginative to answer this challenge. They thus ensure to improve the watchmaking content at equivalent prices rather than to reduce them. Finally, taking into account the number of exhibiting brands (I could organised more than 150 appointments if I wanted to do it), each edition of Baselworld contains a lot of surprises and crushes. This is the strength of the Fair that brings together the biggest brands and the most confidential watchmakers. I never know what to expect and it is perhaps what makes Baselworld's incomparable charm. Here is this selection of 20 watches, sorted alphabetically, that I hasten to deliver before I change my mind! Here is the simplest watch from Akrivia ... and it is also the most beautiful. 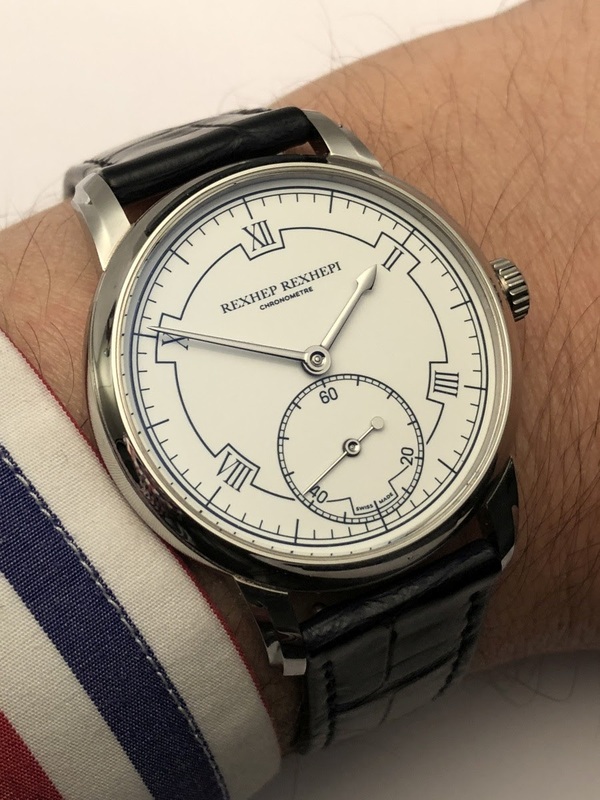 The exercise of creating a three-hand watch that stands out is difficult and Rexhep Rexhepi achieved it thanks to a simple and original aesthetic approach, enhanced by the enamel dial, and a movement of great beauty. A superb watch, perhaps my favorite of the Fair. 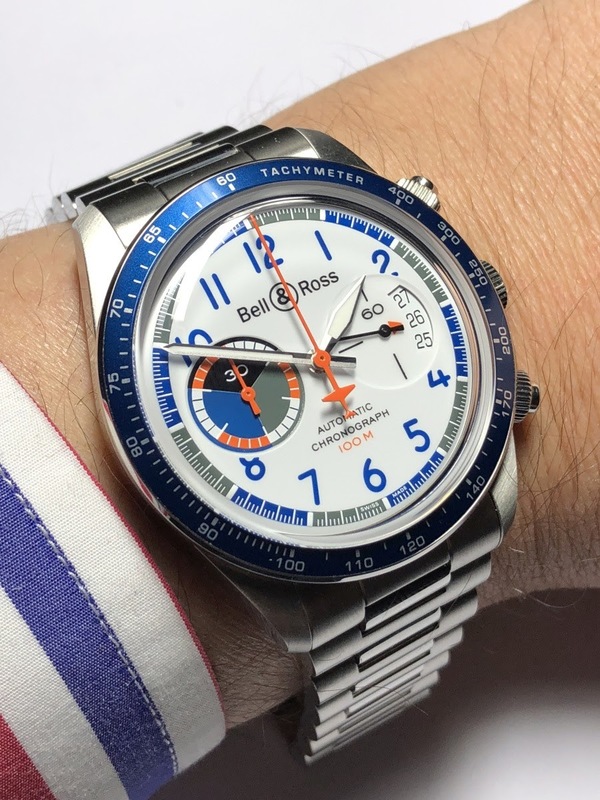 Bell & Ross is back in the sky with this luminous chronograph. The recipe is well known following the tradition of the brand BR V2-94 chronographs. But it is distinguished by its palette of clear and harmonious colors. The blue and orange touches brighten up the dial and the watch is worn with a lot of pleasure. It is the BR V2-94 chronograph that appeals to me the most. The Navitimer 8 Unitime is the watch that takes full advantage of Breitling's new aesthetic orientations. The sleek style allows to insert additional information discs without giving the feeling that the whole design becomes overloaded. The complication is a call to travel and gives a touch of extra personality. 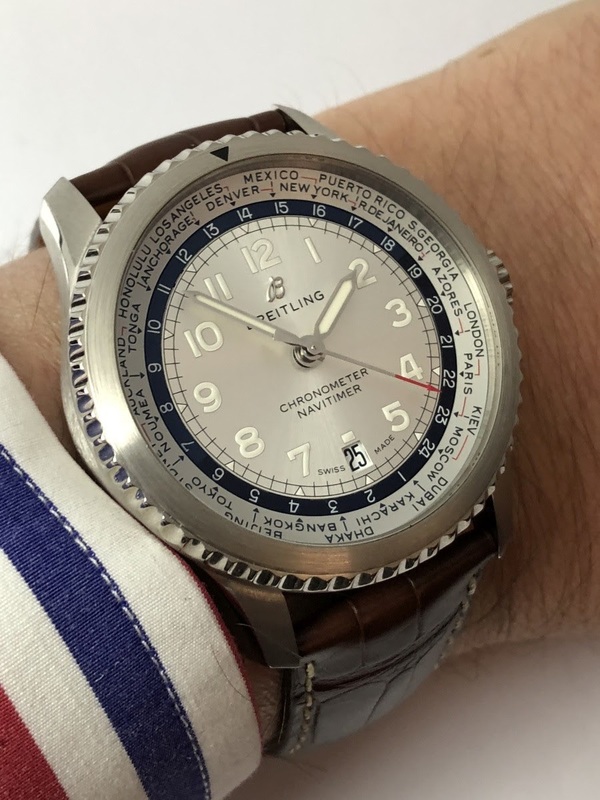 The result is convincing and reminds us that Breitling has an incomparable knack for creating instrument watches. The brushed finish of the Octo Finissimo was unveiled last year in titanium, it is now available with pink gold and steel cases. The gold watch is spectacular, luminous and warm without ever being ostentatious. It is the true Italian elegance, stylish, distinguished but always with good taste. Rarely a full gold watch has given me such a sense of refinement magnified by the slender side of the case. Bulgari has offered a beautiful 2018 collection, this watch is the perfect example. The lion is the lucky charm of the House ... and that's good, it's also my zodiac sign. 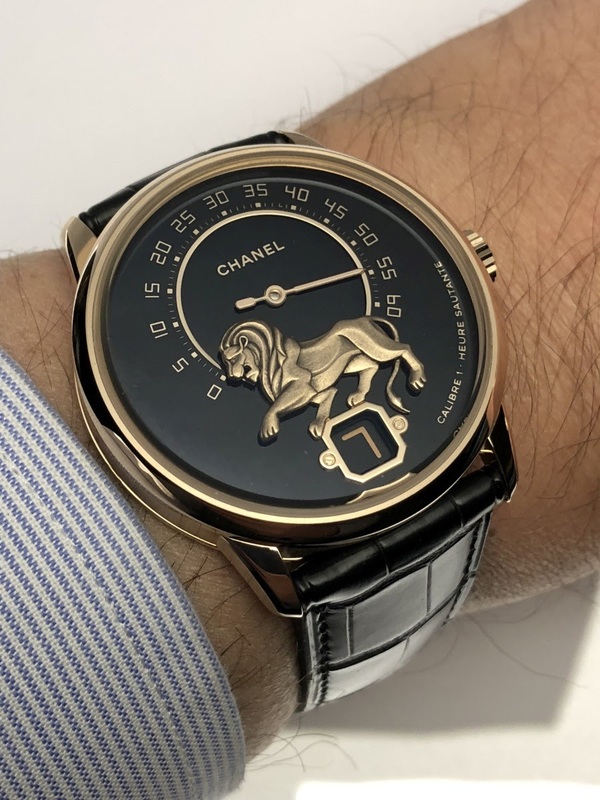 This is surely the reason why I was totally seduced by this interpretation of the Monsieur de Chanel featuring a carved lion in gold. I find again with pleasure the jumping hours and retrograde minutes system highlighted by the presence of the king of animals. A royal watch with captivating finishes. 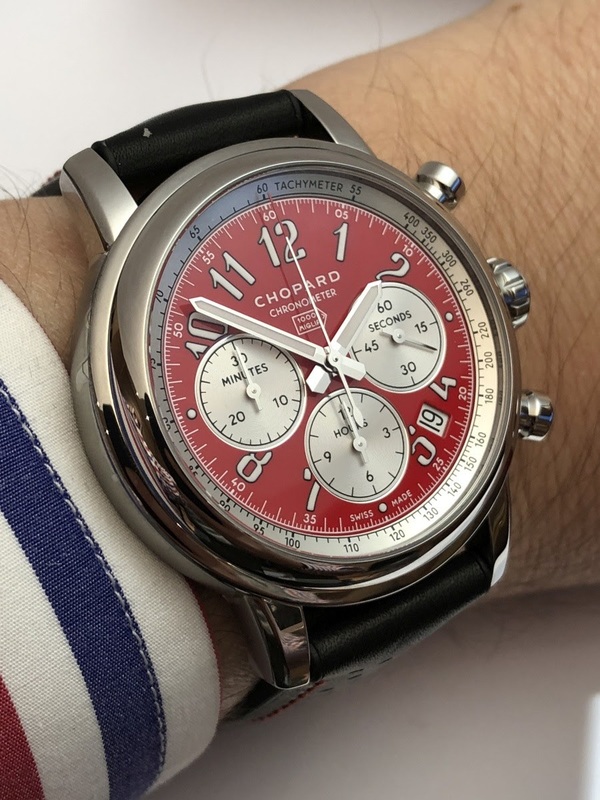 Chopard revisits the colors of five national racing teams with its Mille Miglia Racing Colors collection. If the context remains well known (the Mille Miglia chronograph), the association with a palette of bright colors is an excellent idea. The watch is gaining energy, becoming more fun and casual. My favorite is the Rosso Corsa and I can already imagine walking with this chronograph on the wrist, perfect for a long summer stay in Rome! 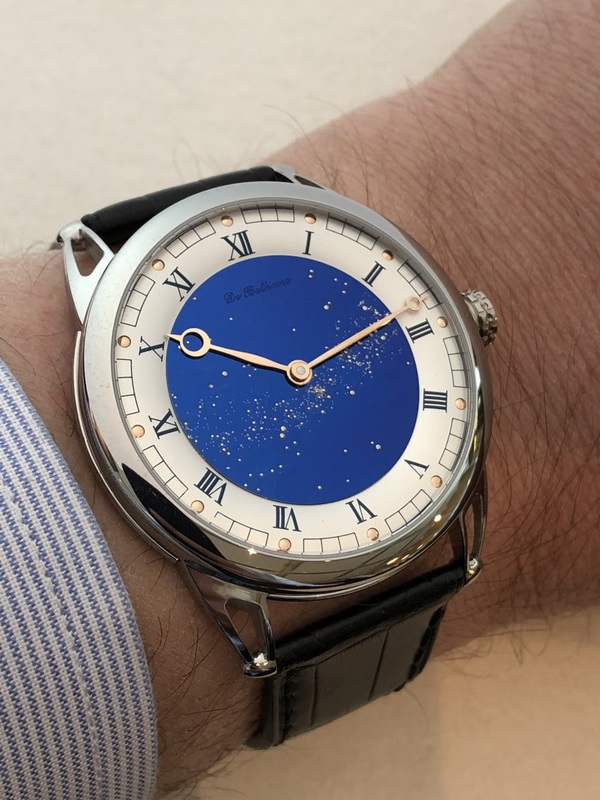 At first sight, the De Bethune Starry Varius appears as a revival and gathering of classic elements of the brand. What already makes it very desirable. But as in addition it offers a new case featuring harmonious proportions (42mm diameter) and redesign lugs, it becomes closer to perfection. Unquestionably, a very desirable watch confirming the comeback of the brand at the top of the watchmaking pyramid. Grand Seiko presented 3 watches celebrating the twentieth anniversary of the 9S movement. Unfortunately, I did not see the platinum "Very Fine Adjusted" model but I could enjoy the excellent quality of the work on the yellow gold and steel models. The latter is distinguished by a beautiful blue dial. 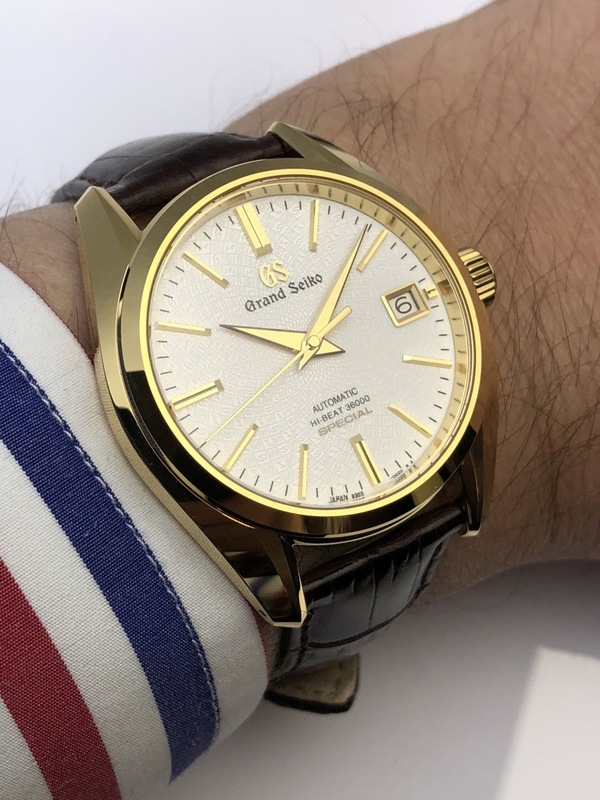 Once again, Grand Seiko impressed by the quality of the products. Jaquet Droz needed this watch to bring a new dynamic to its Grande Seconde collection. The Skelet-One remains faithful to the lay-out of the dial of the Grande Seconde with the outline of the 8 clearly visible. But for the rest, everything changes! Jaquet Droz dares transparency, volumes, depth effects and the whole is spectacular. A great outcome that gives a more contemporary dimension to the brand. Longines demonstrates once more its ability to use its historal background to offer very desirable models. The Heritage Skin Diver is part of this category thanks to a very successful reinterpretation of the 6921. 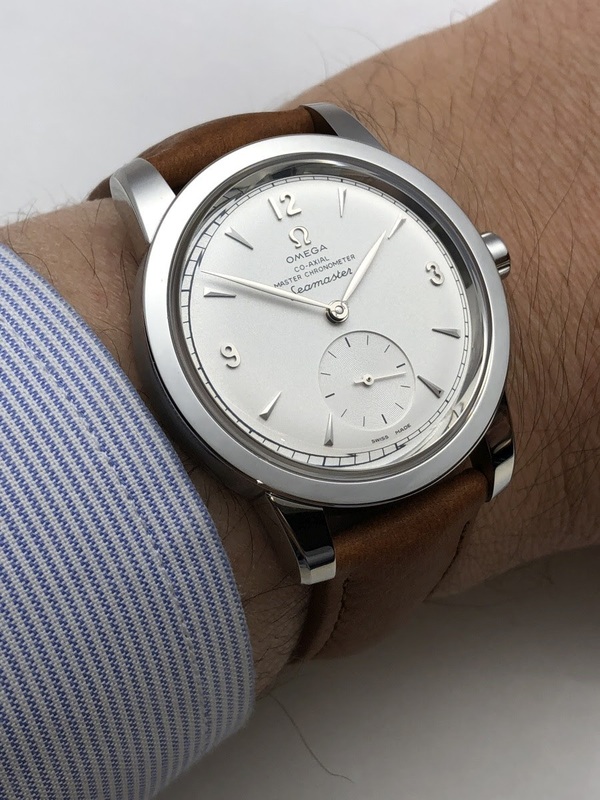 Even if the new model is a bit too big (42mm), the finish of its dial, the quality of the execution and the absence of date make it irresistible. This watch is a reflection of what the Swatch Group has offered in the neo-retro range during this edition of Baselworld: products designed with care and intelligence. 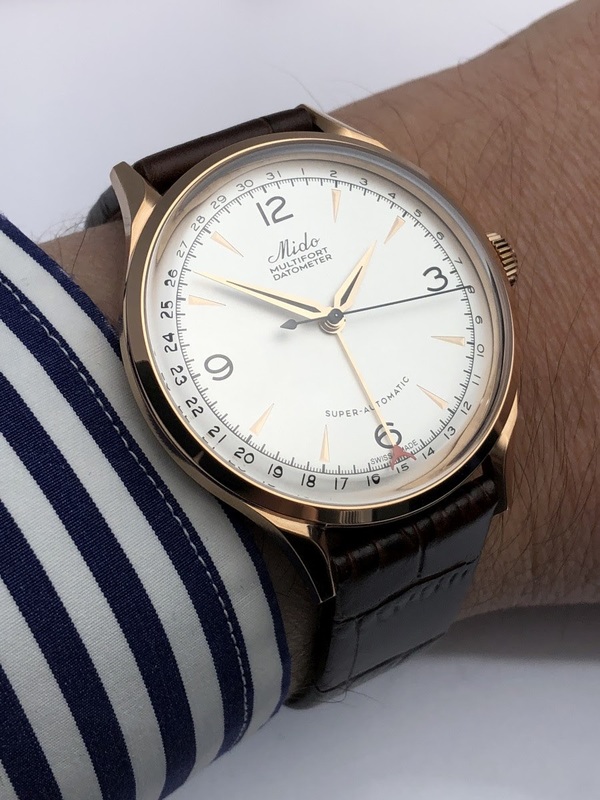 Mido celebrates its centenary this year and celebrates this significant milestone with a reinterpretation of a model created almost 80 years ago. The version with pink PVD treatment really pleased me and I found the presentation and finishes of the watch excellent for a price of 1.110 euros including tax in France. A very good surprise that will allow Mido, I hope, to gain notoriety in some markets. Little by little, Nomos works to broaden its aesthetic palette while maintaining its clean and neat style. 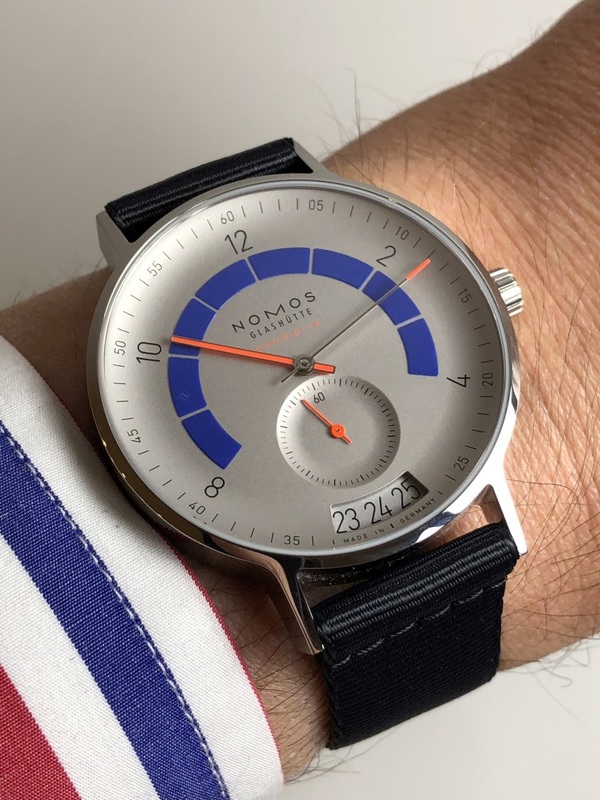 The Autobahn, designed by Werner Aisslinger, is part of this strategy: we recognize at first glance that it is a Nomos and yet it significantly renews the Bauhaus-inspired design. The shape of the dial is amazing, the graphic rendering is contemporary and the watch is very comfortable to wear. Surprising and refined, it was one of Baselworld 2018's most beloved watches. OK, I cheat a little with this one: it's not a watch but two, one with a large center second hand and the other with a small second hand. 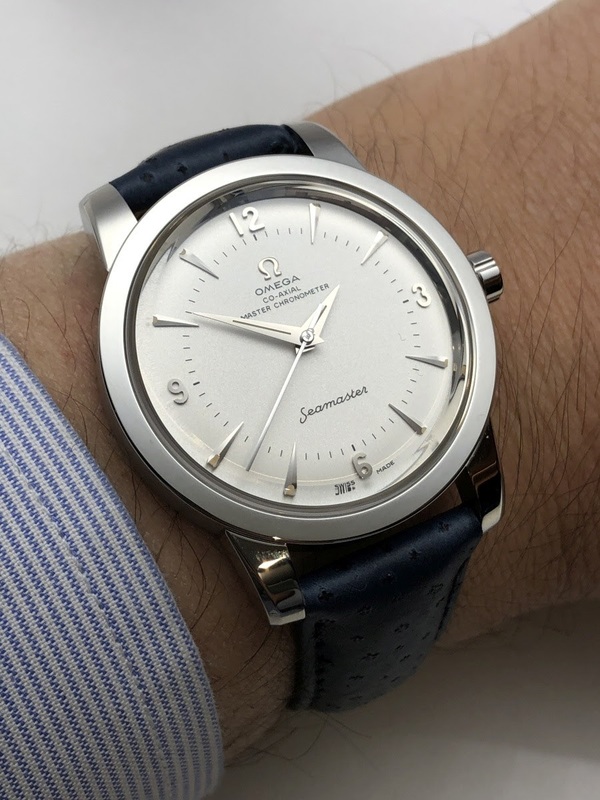 Omega plays the card of nostalgia but the two Seamaster 1948, which celebrate the 70th anniversary of the collection, are watches that can not be more contemporary as demonstrated by the Master-Chronometer certification. Omega has made the judicious choice of a case with a reasonable 38mm diameter. Both watches are beautiful, elegant and perfectly executed. It would have been wiser to more simply decorate the back glass to be even closer to perfection. In the end, the hardest thing is to choose between the two watches, limited to 1948 copies each. 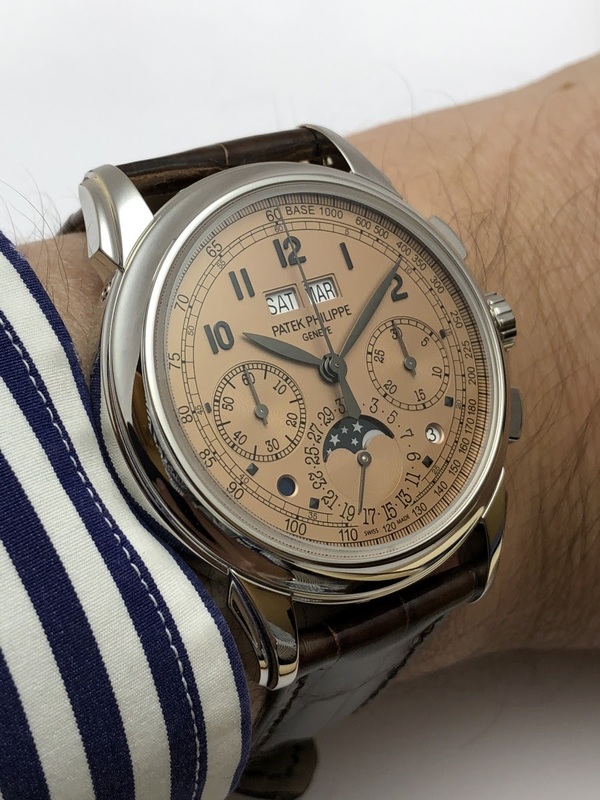 The 2018 Patek Philippe collection really pleased me. The collection is not really revolutionary, but each of the novelties contained the detail that hit the mark. In this context, I had a hard time choosing the one I liked the most. And finally, it's the 5270P with salmon dial that won my vote. Because it's a perpetual calendar chronograph, a great classic of the Manufacture. And because it is beautiful simply. Patek Philippe offers with this watch the best of high-end classic watchmaking. The young French brand Reservoir was present for the second year in a row at Baselworld. It took the opportunity to present novelties in a 39mm case making the watches easier to wear on small wrists. The Longbridge, however, retains all the character of a Reservoir watch inspired by the dashboards of famous cars (and of the Mini one in the case of the Longbridge) and which offers a time display based on jumping hours and retrograde minutes. The Green Dial Longbridge is so British and irresistible. 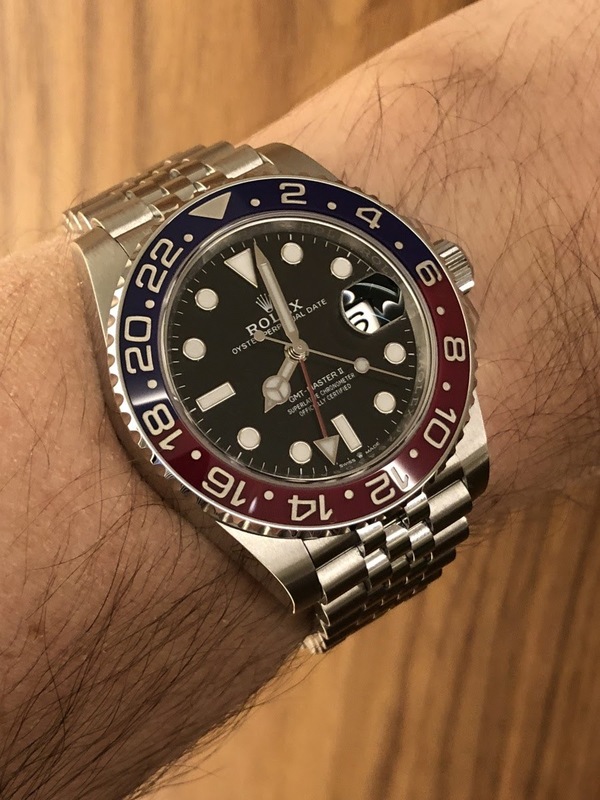 (Almost) everything has been said about this watch. The reflex would be to choose another Rolex in this selection because its presence sounds like too obvious. But no matter how much I think, I do not see why it should not be there. It was the star of the show. It is powered by a new movement extremely convenient to use. The Jubilee bracelet nicely matches its design reinforcing its luxurious and refined side. To make a long story short, Rolex did everything right once again. And to those who complain about the lack of real surprise, we could just answer: we don't change a successful and winning formula. And Stepan Sarpaneva took the plunge. 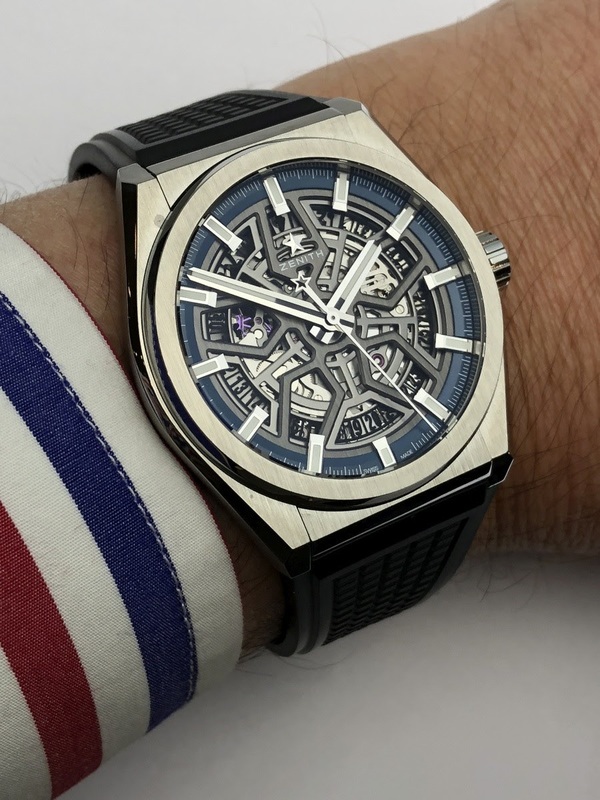 I knew he was not going to be satisfied throughout his career by only reworking "third party" movements to create fascinating and intriguing watches. During this edition of Baselworld, he presented his first in-house movement, which is obviously dedicated to the moonphases display. 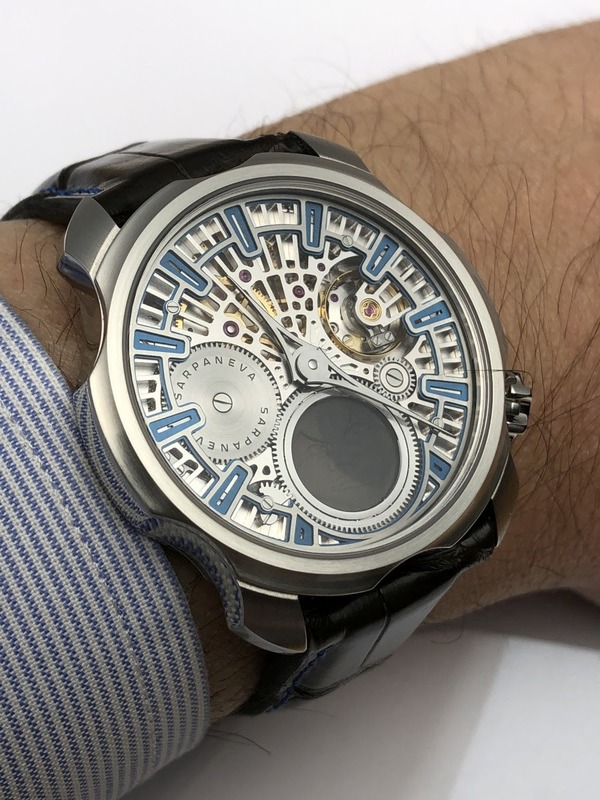 The watch that uses the movement is still in a prototype state but its potential is real whether it is front or back because the back will also display complications. A very promising watch. The new 1926 collection is strategic for Tudor to strengthen its presence in Asia and to be less dependent on the sales of the Black Bay collection. 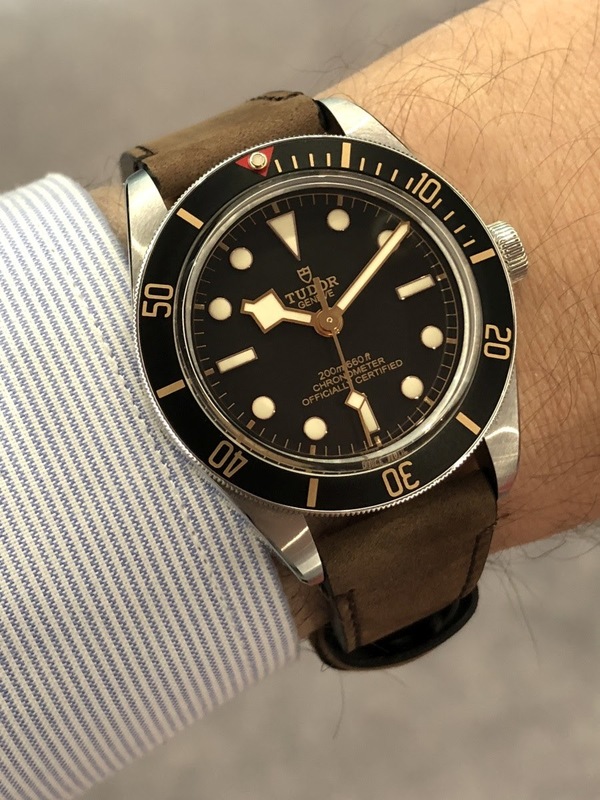 However, Tudor doesn't forget the latter with the presentation of the Fifty-Eight piece which is for me the most successful of the collection. It is more refined and its size is ideal. There was something missing between 36 and 41mm: here we are, this gap is filled. 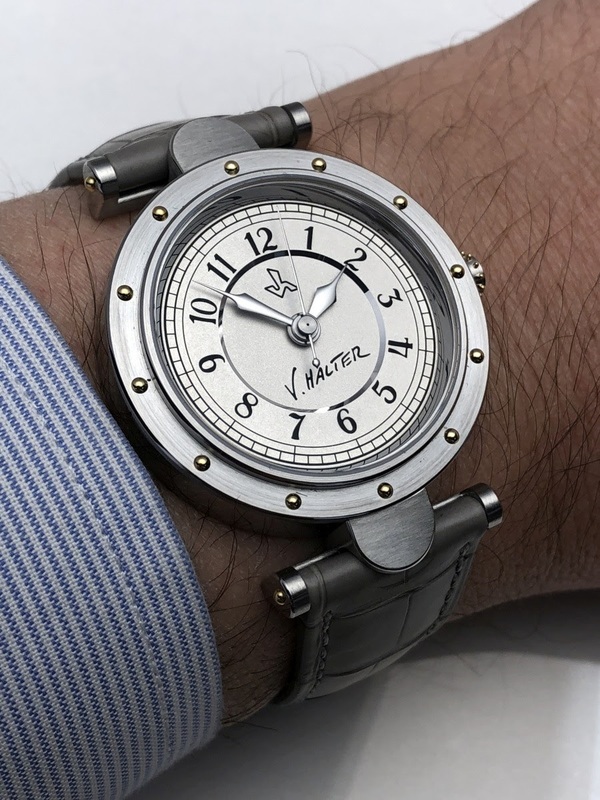 Vianney Halter not only celebrated his come-back to Basel, he also celebrated the twentieth anniversary of the first watch bearing his name. So, the best way to mark this event was to release a limited edition of 20 copies of a reinterpretation of the Classic. The watch is simple, bright and features everything that makes the style and the success of a Vianney Halter achievement. 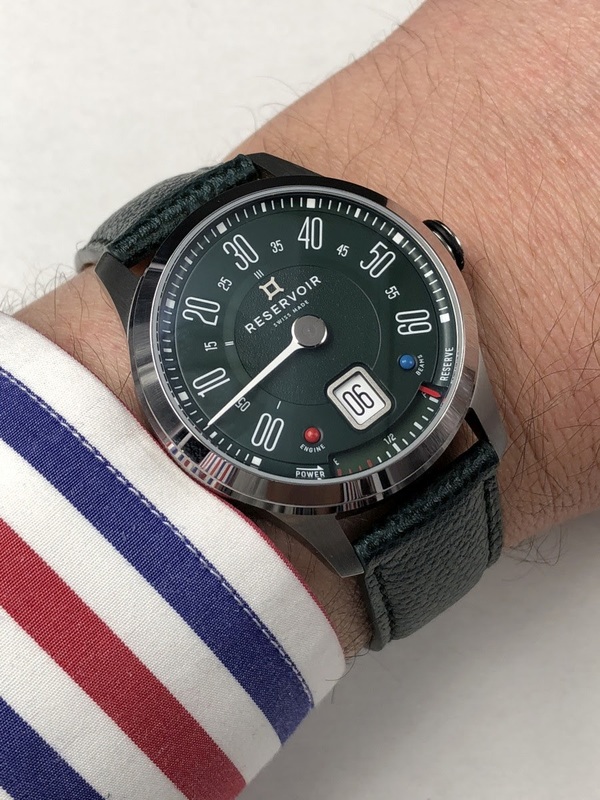 A must for any independent watch collector. The Defy collection becomes a pillar of Zenith's development strategy. The Defy Classic uses the aesthetic codes of the Defy Lab prototypes and is much more convincing with the open dial than with a solid one. We are certainly far from the innovative performance of the oscillator of the Defy Lab since the watch is animated by an Elite movement. But the result pleased me and symbolizes the ambition of Zenith around this collection. All that remains is now to wait for the production version of the Defy Lab. It is another story. This watch, or rather this concept is unclassifiable. 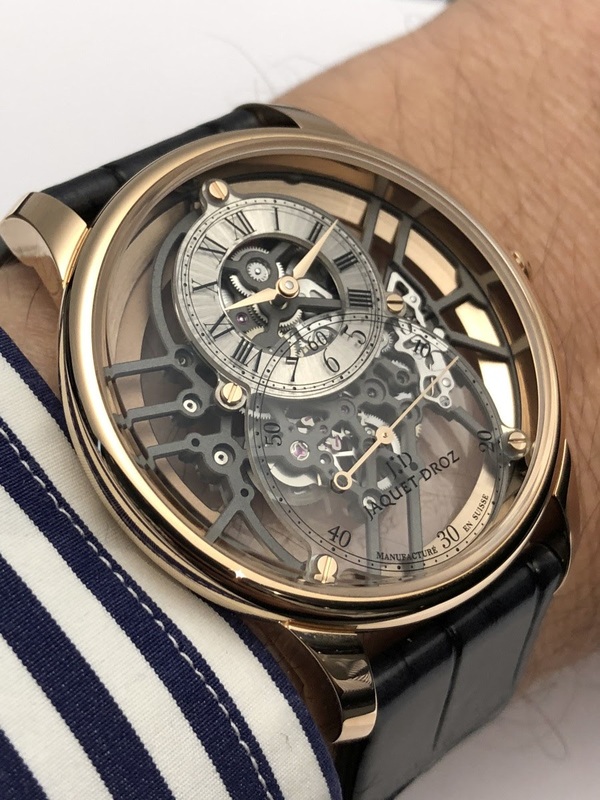 However, it is important to talk about it since it is the reinterpretation by Felix Baumgartner of the duet "the sympathic clock and its watch" by Breguet. The principle is the same: you only have to place the watch in the impressive instrument which weighs more than 35 kilos so it becomes automatically set on the determined time with an atomic precision. The instrument offers other functions including the winding the watch. This approach is dedicated to some collectors but I felt that its vocation was rather to contribute to basic research. 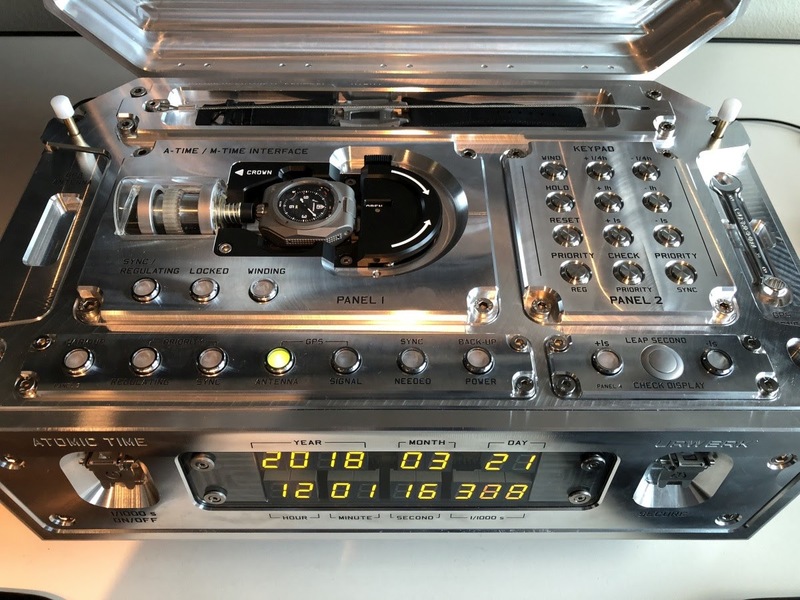 In any case, the realization of this project is fascinating to see it working and fits perfectly in the line traced by Felix Baumgartner: the interaction with a mechanical watch to improve its accuracy is a theme he has addressed throughout his career. This selection is now complete. It is obviously imperfect and may move. I am sure that I will change my mind about some watches in a few weeks and that I will regret that others were not included. But it doesn't matter: I will come back in detail on several Baselworld watches in the coming weeks. I hope De Bethune will set this thickness as the average for their jaw-dropping timepieces.